Many people love gazing at the glittering and vibrantly painted images in medieval manuscripts. For some, including myself, there is no better way to glimpse aspects of medieval life than getting lost in the details of illuminations depicting the fashions, pastimes, professions, and objects of every day life. But this post is dedicated to the ink that made the composition of all of those beautiful manuscripts possible. Yesterday I came across a wonderful little recipe for iron gall ink held in The UK National Archives. Recipe for making iron gall ink. The National Archives of the UK, C 47/34/1/3, c. 1483. 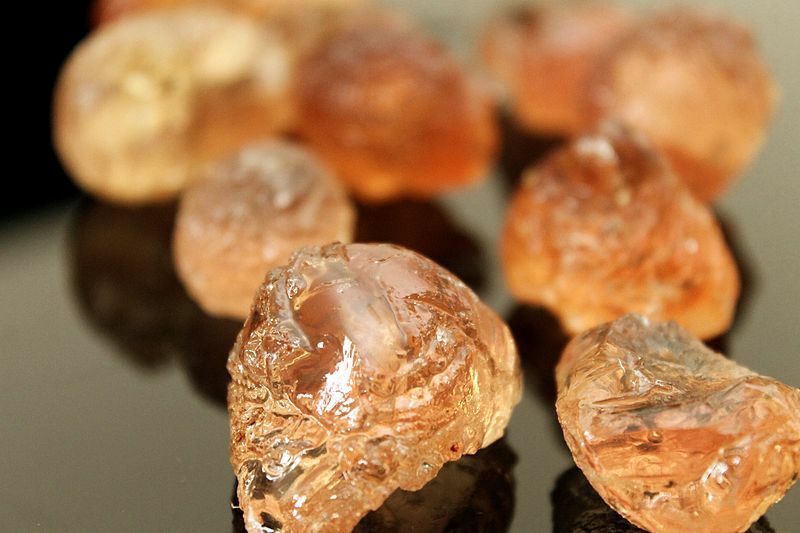 The recipe instructs that four substances should be mixed together in equal measure: oak galls, copperas (aka iron sulfate, ferrous sulfate or iron vitriol), gum arabic, and water. The mixture should be stirred often over a two week period, after which time it is ready to use. When soaked in water (or, in some recipes, wine! 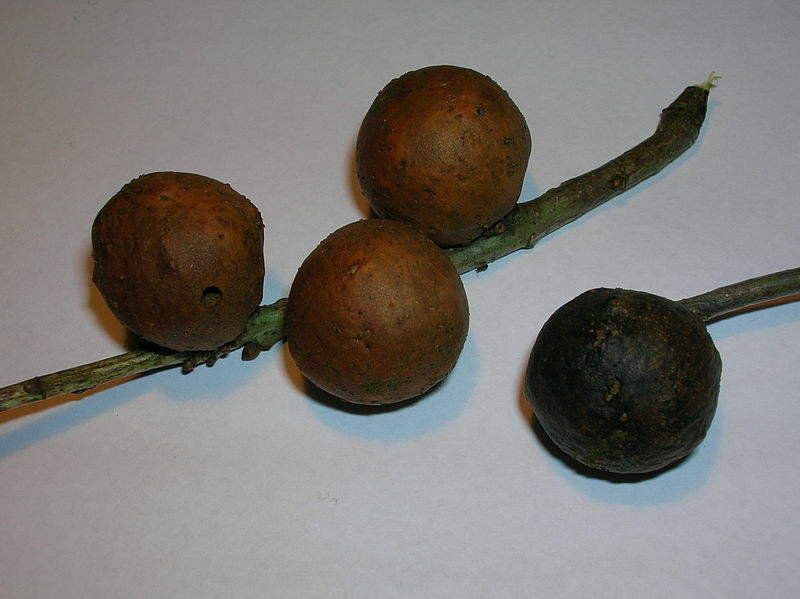 ), the oak galls release gallic acids and tannins, which, when mixed with the iron sulfate, produce a black pigment. The addition of gum arabic acts as a binder to fix the pigment, it helps the ink to flow better and bind to the parchment or paper, and it gives a richer tone to the colour of the ink. 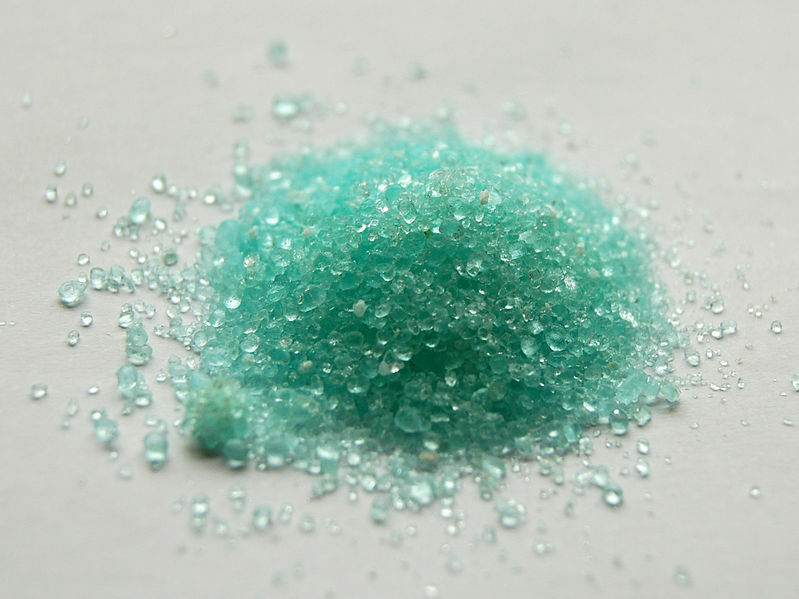 Copperas, also known as Iron sulfate, ferrous sulfate, green vitriol or iron vitriol. Though incredibly popular with medieval scribes, iron gall ink deteriorates over time, flaking off and burning through the parchment or paper it’s written on. This is seriously bad news for researchers working with original medieval documents and manuscripts and great care has to be taken to reduce the texts’ exposure to humidity and severe temperature fluctuations. 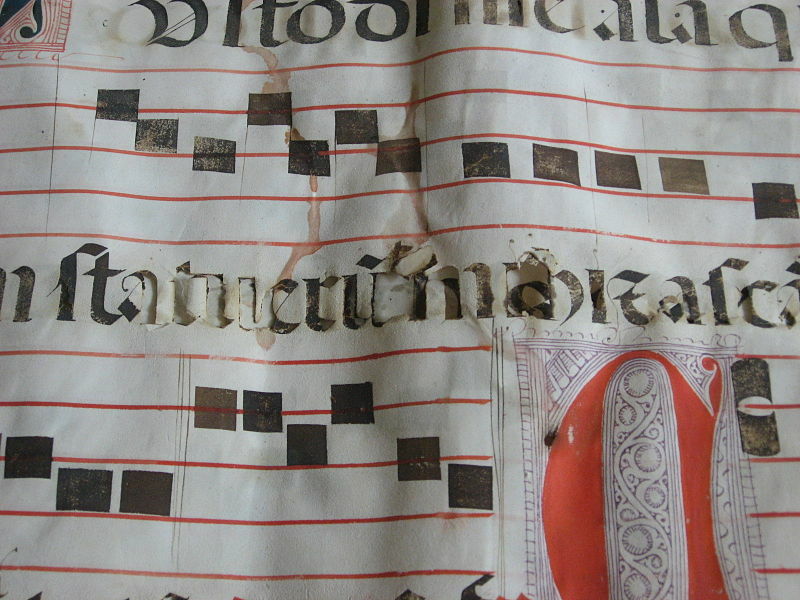 The image below shows just how corrosive the ink can be over time; it has literally eaten through the parchment containing music. Corrosion caused by iron gall ink. So, next time you find yourself captivated by a beautiful medieval illumination, take a few moments to appreciate the text that it accompanies. It wants to be seen – to be read and admired – before it slowly and silently disappears. UPDATE: to include a link to my segment ‘The Ink That Helped to Write the History of Our World‘ in BBC Four’s Oak Tree: Nature’s Greatest Survivor. The full programme can be purchased from the BBC Store. 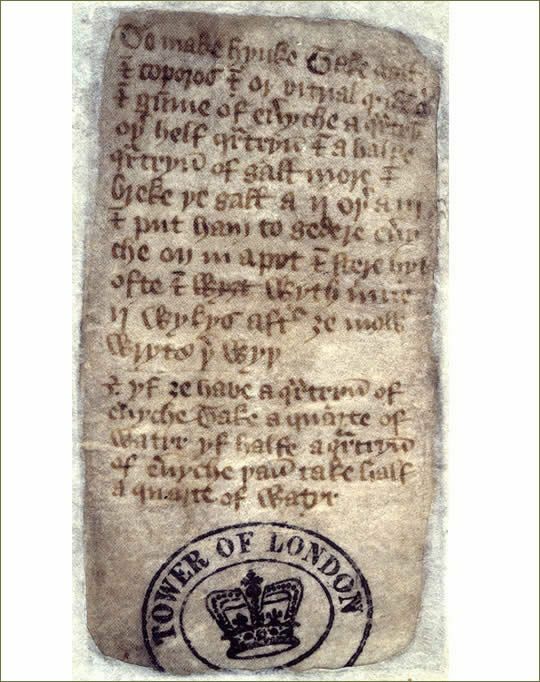 This entry was posted in The Parchment Mirror and tagged ink, iron gall ink, medieval, recipe, The National Archives on January 29, 2014 by Sarah Peverley.